As a service to the public and to the members of the Blog-O-Sphere, Miracle on 32nd Street will now regularly partake in selected Public Service Announcements. It is an undertaking I feel will help alert the masses to hidden dangers lurking in unforeseen locations. I have to believe that all time spent on this endeavor is no time wasted, and it is my fervent wish that you all will support me in this. Mankind has long been the manufacturer of many products which have, inadvertently, become serious safety and health hazards. Cars can swiftly transfer us from one destination to another, but traffic-related injuries are staggering. Fires can keep us warm and prepare our meals, but our invented heat can scald as fast as it can boil. Electricity illuminates our lamps, but can deliver a fatal shock in the blink of an eye. 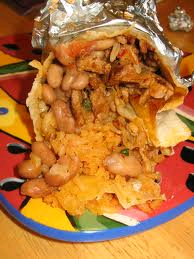 And burritos, while satisfying and delicious, can wreak unfathomable havoc on our digestive systems. Today’s P.S.A. highlights a lurking danger in millions of homes across America. This danger lures many to employ it on a regular basis. No…not Peanut M&Ms. No…not DVDs featuring Pauley Shore. The danger I speak of…are hangers. Do you notice the fear and self-loathing in her eyes? Do you see how she can barely look at me when I ask her questions? And do you see the sheer humiliation in her face when she relegates herself back to her own crate? This is madness, I say. Utter madness. Don't be fooled by their shimmery glow. Reckless behavior around these objects can result in gouged eyeballs, wrinkled clothes, trapped animals, and stolen vehicles. 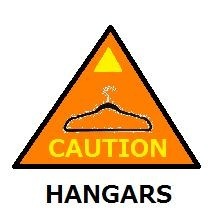 Approach all hangers with extreme caution and do not provoke them. 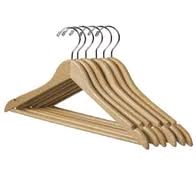 Behavior specialists claim that hangers act favorably towards being hung on a suspended pole in a dark, secure area, and appreciate long, billowy layers of fabric on their beings. Great attention to these details will ensure a safe household, and a safe America. This has been a P.S.A., brought to you by Miracle on 32nd Street, in partnership with All Things Fnkybee and The Edmonton Tourist. Safe living, America!